Description: Great little garnish or paring knife. Description: One of the handiest knives you'll ever use in the kitchen.Stays sharp for what seems like forever! 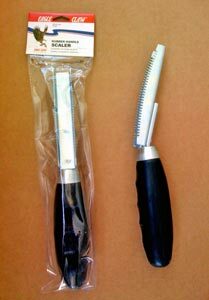 Description: Fabulous knives for a variety of uses.Both feature very sturdy blades that slice through even the largest of fish with ease!! Description: Wood Handle with brass compression rivets. Long flexible blade makes one nice fillet knife. Description: Stainfree High Carbon Steel. Our 3 biggest sellers! That should tell you something! 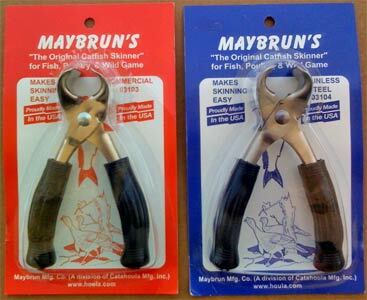 Description: Stiff blade, great length for filleting or kitchen use. 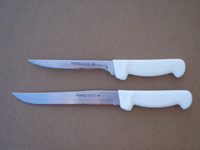 Blade Length: 8" or 6"
Description: Favorite fillet knife of many fishermen. Description: A long time favorite of our fishermen. Description: Carbon Steel Blade with Rosewood Handle. Very heavy duty. Description: Russell International.Very unique blade.A favorite amongst our shark fishermen. 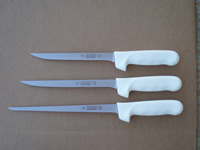 Blade Length: 6" & 8"
Tungsten carbide cutting heads for precision sharpening. Just 3 or 4 strokes and it's SHARP! Protective handle grip for safe sharpening. 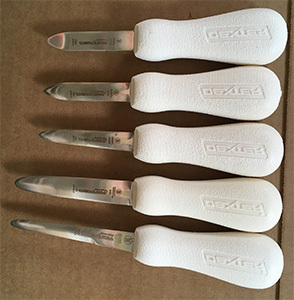 Description: Wonderful oyster knives. 2 3/4" Knife has a small flip on the end. Description: Tried & True!Favorite of oyster shuckers all along the coast!! Stainless steel blade. 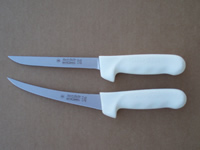 Blade Length: 3 3/4" x 1/2"
Description: Great knife for picking crab meat out of those delicious blue crabs!!! Weighted Handle.Solid stainless steel. We thought this was so unique, we just had to share! Description: We've sold catfish skinners for years, but none as good as these! Made in U.S.A. 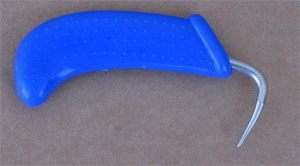 Description: Blue plastic handle S.S. pic, used to aid fishermen in removing fish from gill nets.